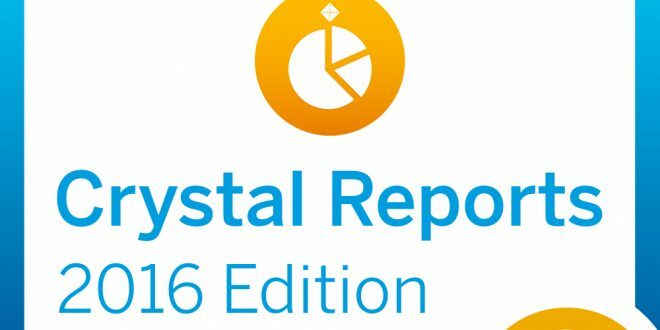 Crystal Report 2016 is one of the newest versions of SAP Crystal Report system. As we know, it is a kind of system that’s useful to provide users with the data. That particular software has numerous features to analyze and interpret data. Using SAP Crystal Report, presenting data becomes an easy task. Even when you have to analyze complicated data, the built-in report wizard embodied in the software will make it so much easier for you. Well, if you want to use this software, using 2016 version is a wise option. Here is the further information about it. When talking about the advantages of using Crystal Report 2016, you can get a lot of them. Basically, this system is going to help you to create reports and presentations. It makes all the reports as well as presentations in detailed and clear way. In the end, you can build reports and analyze any data source with ease. Let’s check more about the advantages of the system. If you need to create reports with advanced format, you probably think that you need to prepare lots of money to get the needed system. However, using Crystal Report 2016, you do not need to spend too much money. Even to create highly formatted data analysis, presentations, and reports, you do not have to pay huge amount of money. The server of Crystal Report can be purchased less than $3,000. It is a very affordable price for a reliable report-making system. In addition, it is also great for startups or companies in smaller scale. It will bring the same benefits but with lower price. Using Crystal Report gives you the best features to make the perfect report. The system is basically very customizable and flexible. There are numerous tools to create the desired layouts for your reports. Multiple languages, sophisticated technology, and wide range of applications are all available in the system, allowing you to create the highly formatted reports that may be perfect for your need. The system is not only useful to create perfect report. Just in case you need developer platform or software vendor to be incorporated in the reports, you can easily get access to programming technologies, such as Java, .NET, and many others. This is why you should really consider Crystal Report if you want to use development code in your report. Well, making a report will be so much easier using the software with tons of features and comprehensive tools. This is exactly what Crystal Report 2016 can bring to you. This is a kind of system software that will help you greatly when it comes to the data analysis and making report. You have read the advantages of this system and now you understand exactly how SAP Crystal Report system is going to help you out in completing reporting projects as well as creating high-formatted data analysis. If you need a web hosting that support Crystal Report in any version, please do not hesitate to contact Seekdotnet.com, we have some services that suits for your needs. SeekDotNet.com is a professional web hosting service provider specializing in Windows Hosting, ASP.NET Hosting, AJAX Hosting and ASP.NET Reseller Hosting. Copyright © 1996-2017 SeekDotNet.com. All rights reserved.